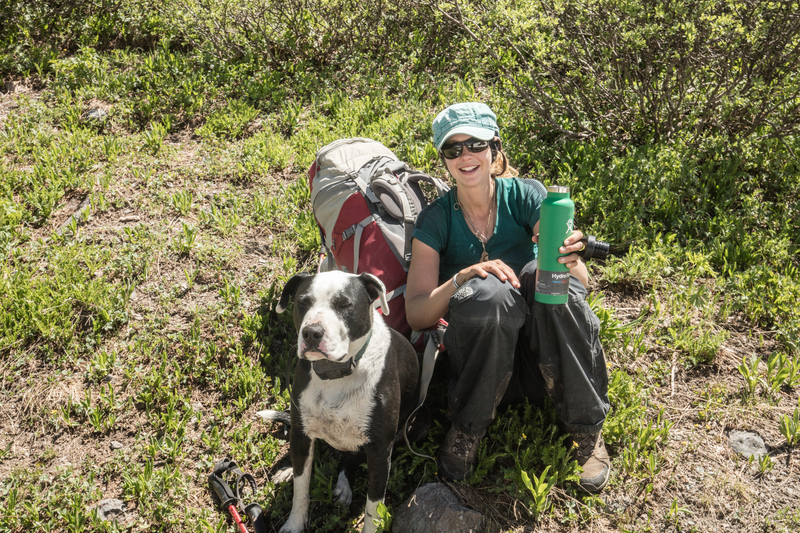 This summer Crystal, Brutus (the dog) and I went for a week long backpacking trip in Colorado’s Weminuche Wilderness in the high San Juan Mountains. 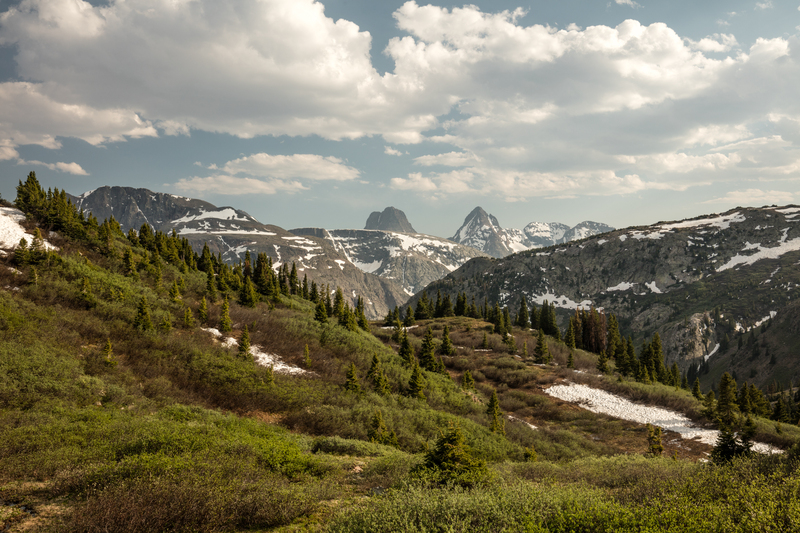 I obviously packed my Canon 5DSR and a few lenses but it wasn’t really meant to be a photography trip – it was meant to be a walk in the mountains – to clear the head and just…be in the wilderness. It was late June and incredibly hot in Arizona with temperatures reaching records highs before our summer monsoon rains began – frequent, daily rainstorms that usually begin around the Fourth of July and last until early September. So what did we do? 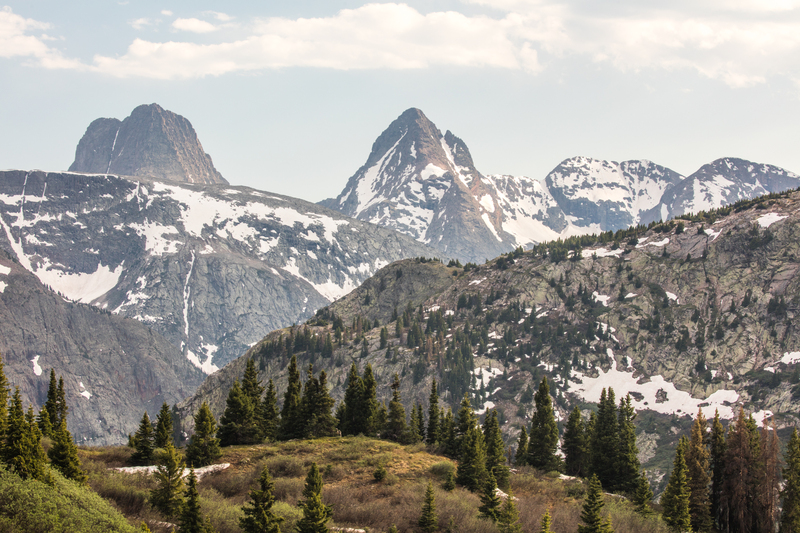 We went North into the high-country looking for a great escape and some cooler temperatures. We began our hike just outside of Silverton, Colorado at about 9,300 feet in elevation after driving seven hours from Flagstaff. It was in the high 90s even in Durango and Flagstaff at 7000 feet in elevation wasn’t much better. We had heard that the Phoenix Valley was hitting temperatures upwards of 120 degrees Fahrenheit – no thanks. 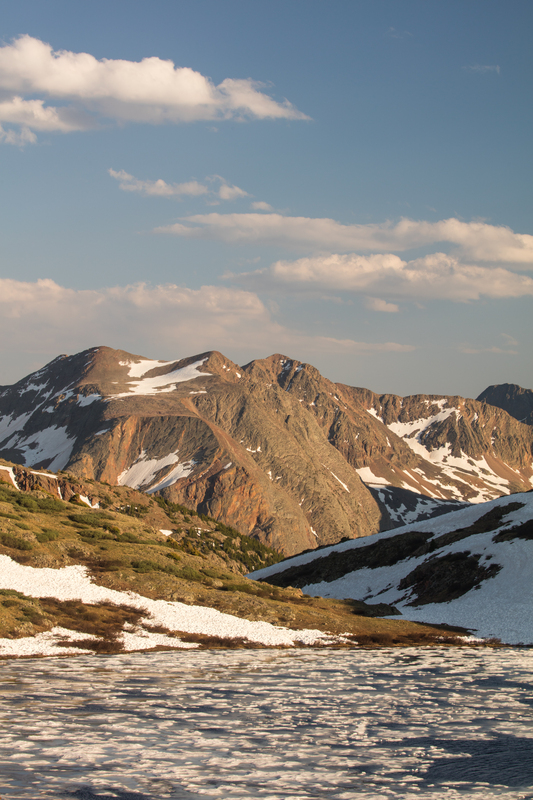 Although the sun was beating down and temperatures were high in the lower valleys, the upper elevations in the Rockies were fantastic right now. 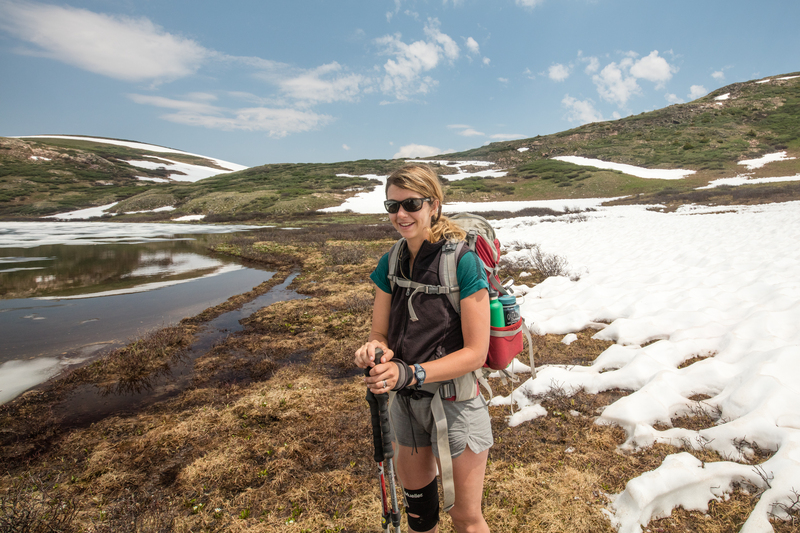 There was still quite a bit of snow on the ground and the alpine lakes were still chunky with ice. 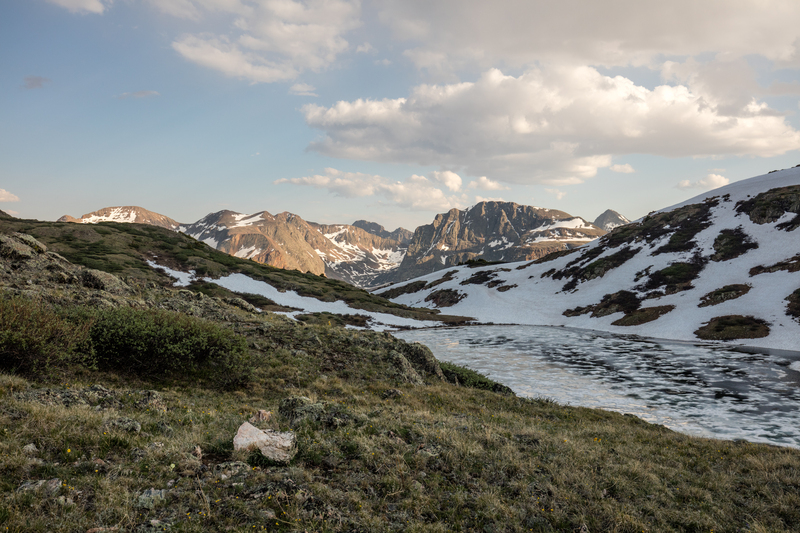 As we began our week long trek – the mountainsides were green and multitudes of cascades, rivers and waterfalls were full with rushing snow-melt. 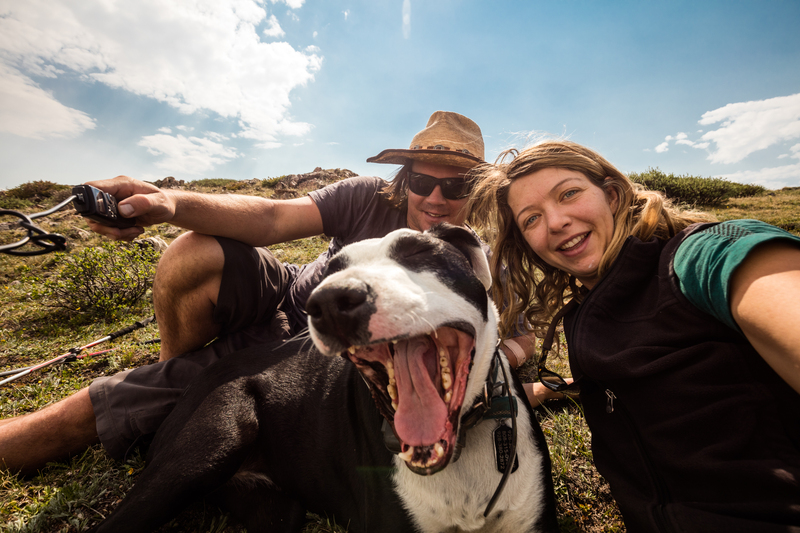 It had been a busy year thus far for all three of us (especially the dog) leading multitudes of trips and quite a bit of office work getting ready for photography tours in the fall. 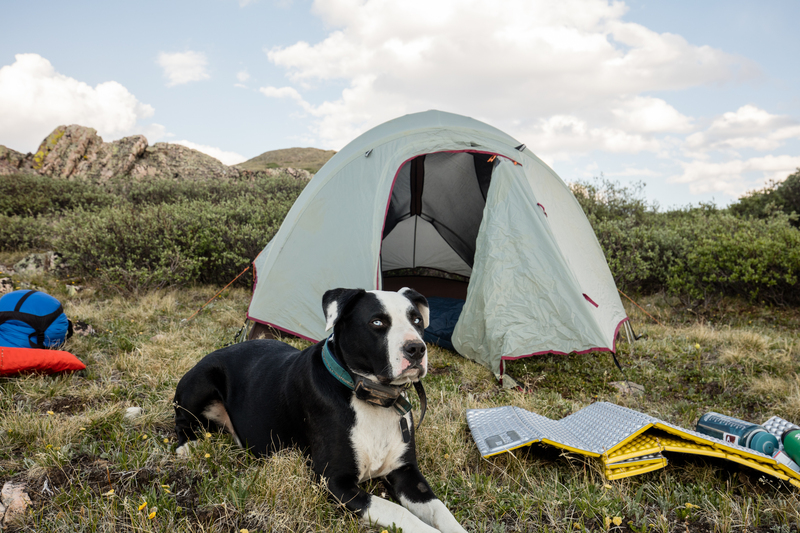 It was great getting out into the wilderness and away from the computer for awhile – Brutus was in heaven. 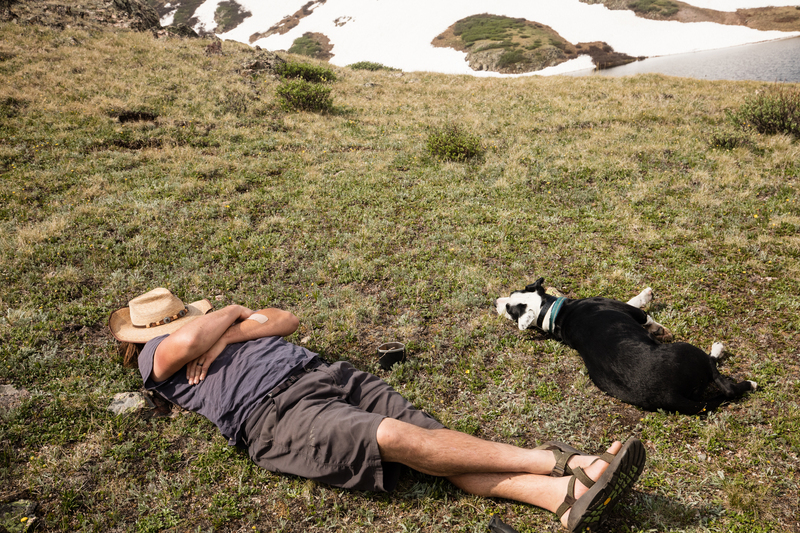 Charging everywhere, throwing up sticks, crashing through streams and chasing Marmots! It was good to be a dawg! 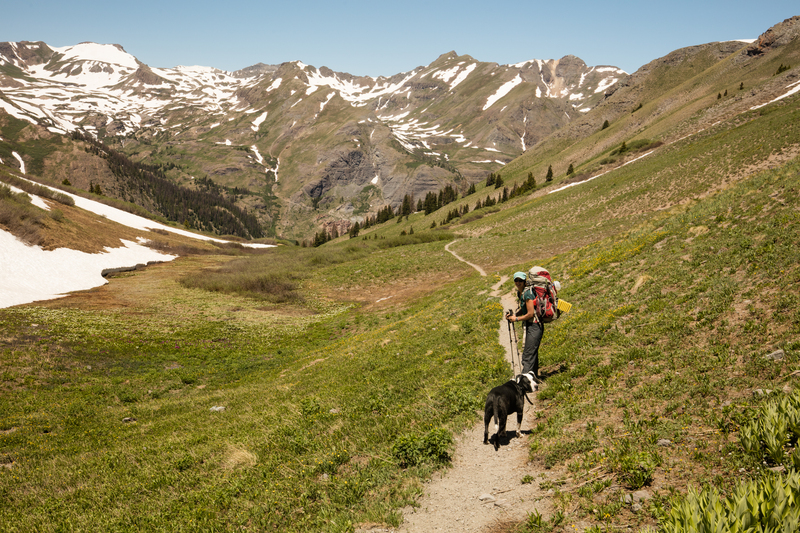 We wanted a loop hike of some sort and so we started out in the Highland Mary Lakes area just outside of Silverton and connected some trails that would eventually loop us back to the car via the Colorado Trail and Continental Divide Trails. A lot of our trek was on nice firm snowpack and a lot of it on the upper plateaus was melted due to the intense heat wave. It was actually a perfect time to be out in the mountains because most people weren’t out hiking and backpacking this early in the season. We were able to get quite a bit of solitude and didn’t see many other people. The weather was great – we got a little rain as the monsoon moisture was slowly creeping over the Southwest but not in full effect quite yet. Another bonus was that it was too early in the season and too cold for mosquitoes! 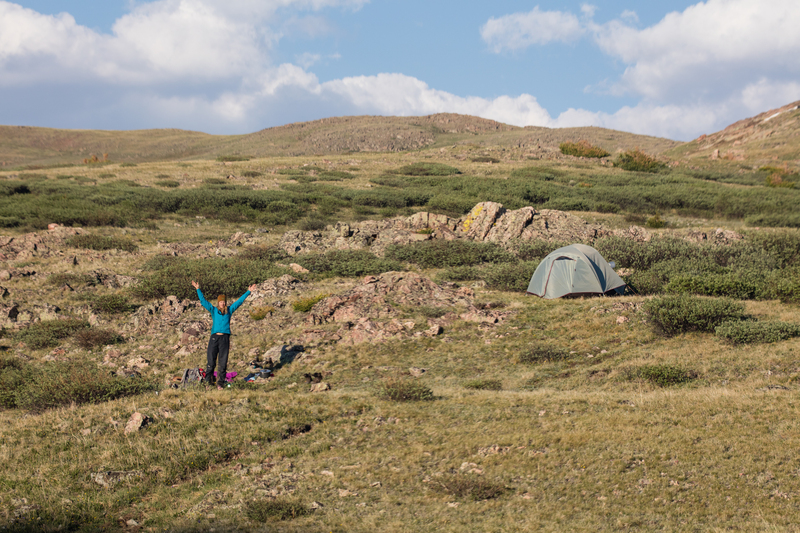 We found some great places to put up a tent on the alpine tundra at over 12,000 feet. It was chilly at night and all three of us huddled together with Brutus zipped snugly in his “dog-bag”. The mornings were slow and lazy with lots of coffee boiled up by our pocket rocket. 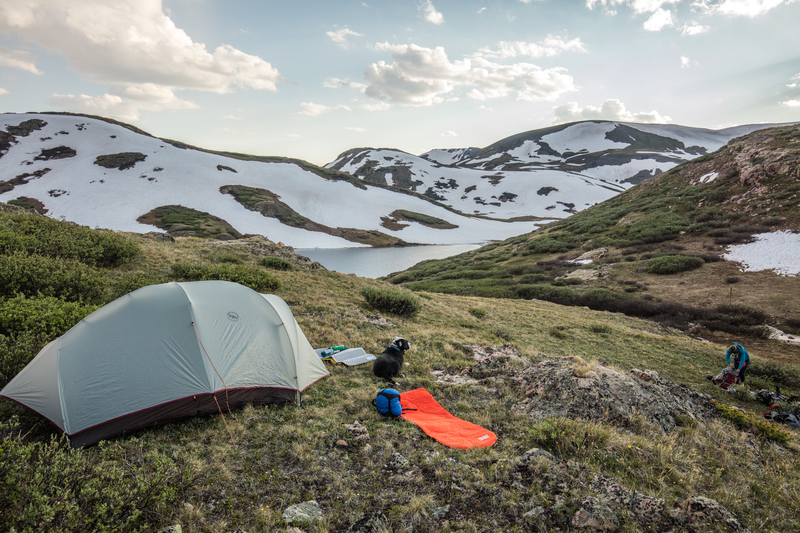 We wanted this trip to be really simple as backpacking trips go – without a lot of “chores”. As both of us had been backpacking guides for years we just weren’t interested in the cooking, cleaning etc. We went super-light (other than camera gear) and for the first time in years we bought a bunch of those boil-in-a-bag meals from REI. You know what? They really aren’t that bad – especially if you bring a few extra ingredients to doctor them up a bit. The hikes were excellent. 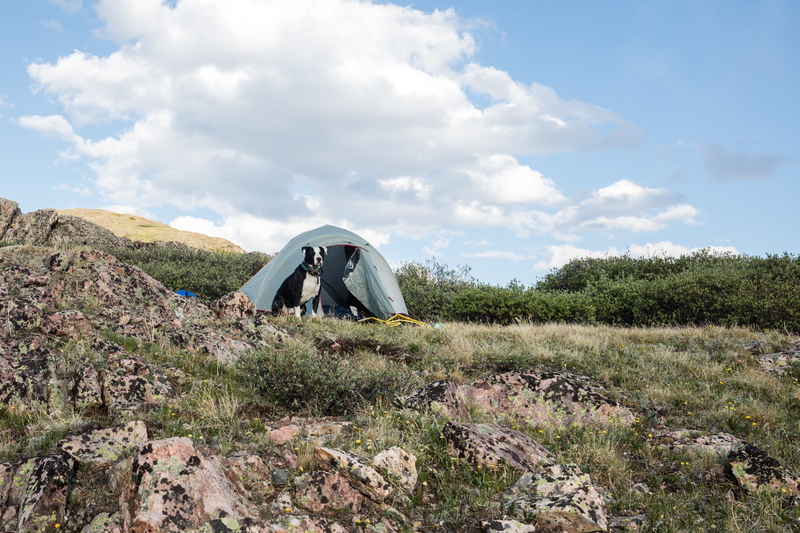 After slowly packing up camp and enjoying the alpine climate we would literally just walk…for miles. It was fantastic to just get out and move at our own pace on our own agenda. We didn’t really have any goals or needs other than to be out in the wilderness and hike. 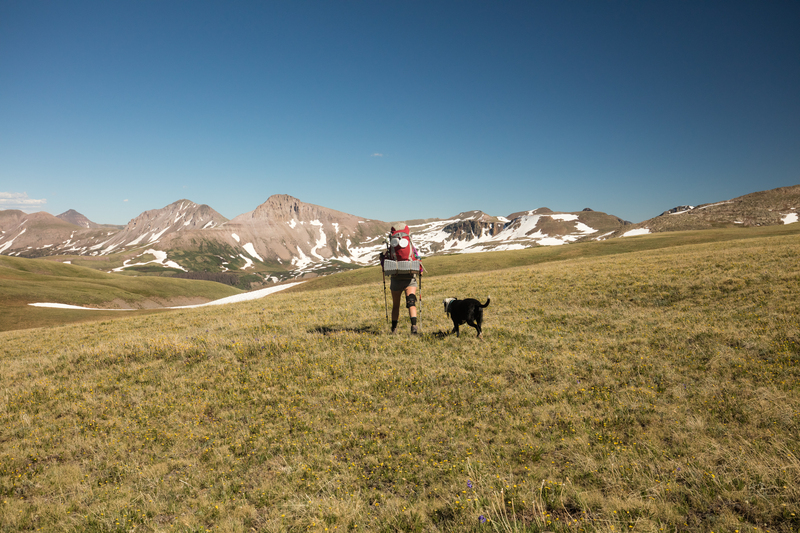 The tundra was green and once we were up at elevation the San Juan Mountain offered some excellent stretches of trail that spanned high ridge-lines where one could walk for miles with excellent mountain scenery on all sides. 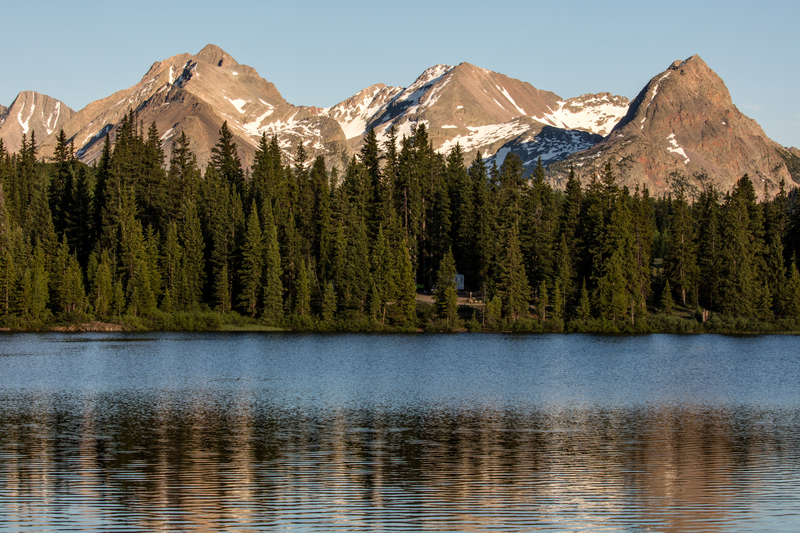 Towering peaks, mountain lakes and solitude – what else is there! ?